As a former Apple employee, when I first saw the new H. Moser & Cie. Swiss Alp Watch, I laughed a lot. 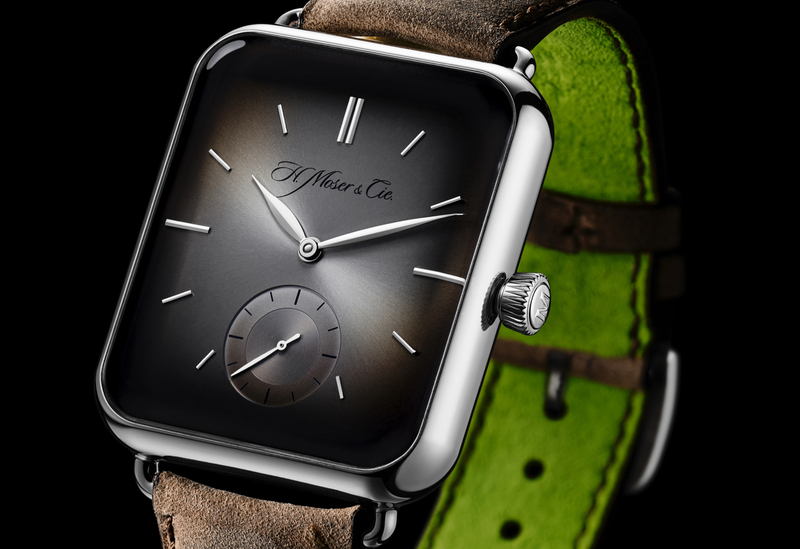 It’s just not characteristically, Swiss for an established brand like H. Moser & Cie. to take a shot at Apple, whose smartwatch ruffled a lot of feathers in the watch industry but ended up being a lackluster product (See: Sales are down since launch, FitBit is outselling Apple Watch, Newton comparisons, and overall fails). Sure, your brother, co-worker, and the majority of your Instagram friends ran to the store to buy an Apple Watch the minute they came out, but were they really part of the horological target market? Apple pushed complications (aka apps), accuracy (duh, it’s digital), and accessories (which was actually smart), all things we watch nerds love. I don’t know about you, but I felt unimpressed and somewhat offended by some of the Apple-sponsored terminology that my non-watch friends were citing to try to convince me to try the Apple Watch. Seriously: “complications” in a smart watch? No, it’s called an app, made by a developer, sitting in front of a computer (not a work bench in the picturesque Swiss alps). For me, a “complication” is a feature in any timepiece that goes above the basic functionality of any watch (i.e., showing the hour and minutes). This has been a pet peeve of mine since the 2014 launch of the Apple watch. Luckily, Apple has cooled it with the precious advertising copy lately and is primarily marketing the Apple Watch to techies and fitness nerds. 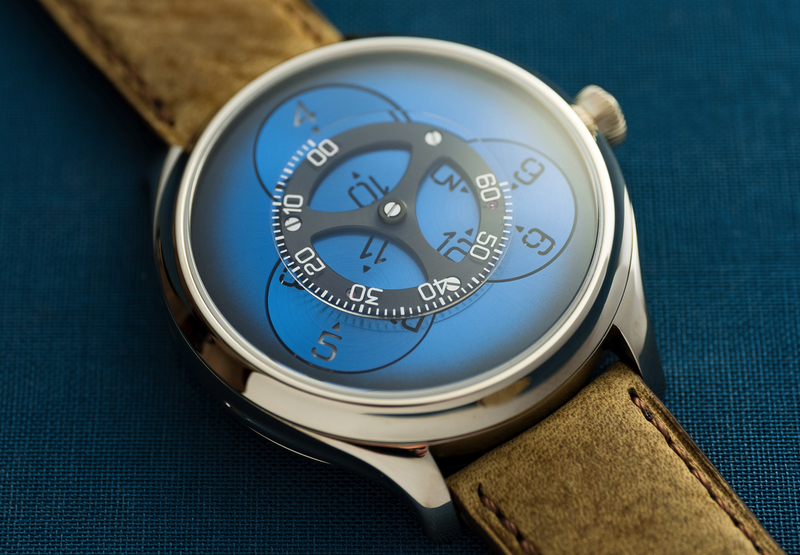 Rather than create a smartwatch that looks like a mechanical watch, H. Moser & Cie. did the opposite. The Swiss Alp Watch is of course inspired by the modern design of a certain smartwatch but is entirely mechanical. Inside the familiar rounded-rectangular case, there’s a Swiss-Made movement with a power reserve of 100 hours. The voiceover states the Swiss Alp Watch is designed to last and is “well equipped for the next generation”—a promise smartwatch manufacturers can’t deliver upon. With the current pace of change in technology, that smartwatch you have your eye on today will quickly be out of date within a few years (if not months), whereas mechanical timepieces will last a lifetime. And most cleverly of all, they claim the Swiss Alp watch will be able to “reconnect” you with your loved ones and your life. “No phone, no messaging,” Moser promises no distractions from what is your most precious and valuable resource, time. That’s not a smart watch—that’s genius. Overall, I think this was an excellent move for H. Moser & Cie. The new Swiss Alp Watch is not only buzzworthy, but a shot in the arm for us watch nerds and a lighthearted reminder to the smartwatch generation that mechanical watches are here to stay. Most of all, it’s a statement that we should put our phones and smartwatches away from time to time and reconnect with all of those analog things that make life great. 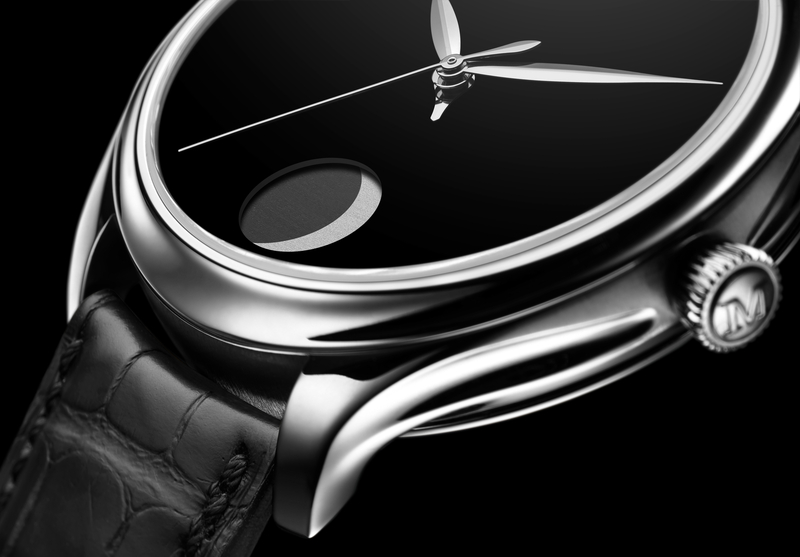 Of course, many of my watch friends questioned if this was a good move for H. Moser & Cie; I truly believe it was. Many people think a watch that playfully resembles the Apple Watch will give Apple “a seat at the table,” but Apple knows deep down that they’re never going to compete with the likes of true haute horology brands. Apple would much prefer the easy money of technophiles that swap devices every year, with some side revenue from more revered brands (like Hermes) designing accessories. The front of the watch features H. Moser & Cie’s iconic fumé dial. The case is 18K solid white gold. The tapered lugs on the very clever case give it a vintage look, and the kudu leather strap with a leather lining in Moser green. All of these features lend the watch a very modern edge. The H. Moser Swiss Alp watch is powered by caliber HMC 324, a 27 jewel hand wound mechanical movement that beats at a 2.5Hz (18,000 vph). 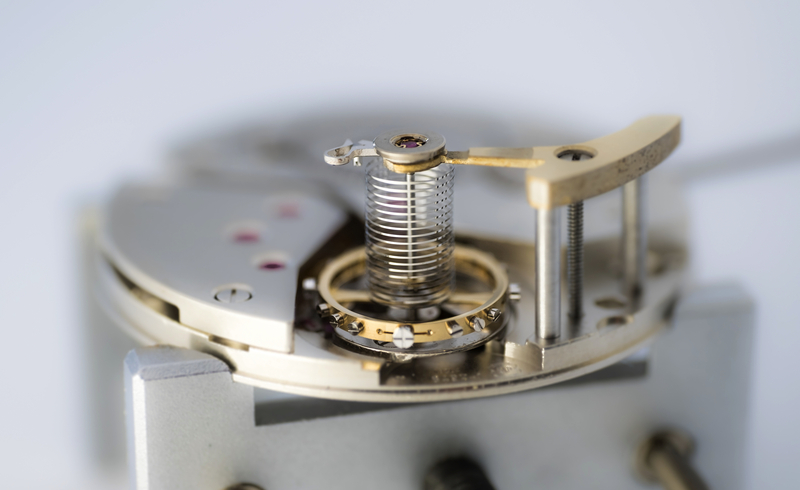 It features a 4-day power reserve (96-hours), hacking seconds, Moser teeth for all wheels and pinions, Original Straumann Hairspring® with stabilized Breguet overcoil, gold escapement wheel and pallet fork, and components that at hand-finished and decorated. Limited edition of 50 pieces. The retail price is $25,000 in white gold. With the Apple Watch “Edition” in Rose Gold topping out at $17,000, this seems like quite the bargain! Is Moser’s Vantablack dial so dark you cannot even read the time? In H. Moser & Cie.
Is it worth the Endeavour?